Religious TV Channel / LIFE TV Estonia. 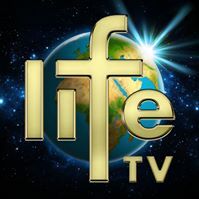 Modern Christian and Family TV channel - LIFE TV. Satellite TV, Cable TV, Internet Online TV, Interactive TV and IPTV. Mission and Strategic Goals: To give the people the opportunity to hear the Gospel which is the power of God and brings salvation to everyone who believes. To reach as many people as possible in Estonia and abroad. To provide a possibility for Christians to feed on the Word of God and build up their faith thorough clear and powerful teaching.